Basicamente se consigue comprando la Edición de Coleccionista de Diablo 3, espero que tengan suerte en poder comprarla. I'm leaning to believe that this will be the Diablo III collector's edition minipet. This is a Fetish Shaman. This has been confirmed as the Diablo III collector's edition minipet. This is a Fetish Shaman in Diablo II. They will look as shown here in WoW. Someone had quite a bit of fun naming this. I can already see my little Shaman cursing everybody with 'Da Voodoo' :) ! 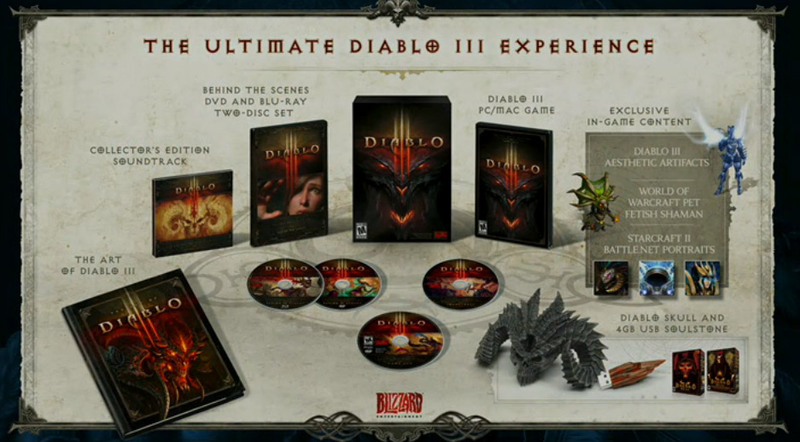 This is obtainable by buying the Diablo 3 Collectors edition. While the picture is tiny it looks incredible! So.. buyers of the annual pass won't get the pet? Unfortunately, not able to ride other fetish shamans. If you buy the collector's edition while you already have the annual pass, you'll be refunded for your free copy of Diablo 3 via four free months of WoW (essentially a $60 value). What if I purchase the Diablo III Collector's Edition? If you decide to purchase the Diablo III Collector's Edition when it's available, and then choose to add your Collector's Edition license key to the Battle.net account associated with your existing World of Warcraft Annual Pass promotion, you will receive all of the benefits associated with the Collector's Edition, plus receive four months of World of Warcraft game time which is eligible towards your 12-month subscription commitment. After you purchase the Diablo III Collector's Edition you just need to input the product key into the Battle.net account associated with your World of Warcraft 12-month commitment and that account will then receive the next 4 months of World of Warcraft game time for free. For example, if you already had a month of game time on the associated World of Warcraft account when you input your Diablo III Collector's Edition product key, it would then be 5 months until your next subscription payment was due. Wait, so if i bought the anual pass with the free Dialblo III when it comes out ill get this companion on WoW? It can be obtained by purchasing Diablo III:Collector's Edition. It will probably give you a Feats of Strength achievement just like other Collector's Edition pets,It isn't added yet though. Clicking upon him makes him babble to you, hibabayaya, or something to that effect. He holds a butchers knife/spear in his right hand and a torch within his left, the torch glows; if graphics are up high enough, quite brightly. Every four or five seconds he will make a noise and look to his right side as though he has heard something behind his back. He will also jump from foot to foot, making another noise; I have heard him say 'hup-hup-hup-hup' with each bounce, though the sounds do seem largely random. Finally the Fetish Shaman will blow fire from his torch, while jumping forward and shout 'hyah'. The fire also becomes a III mark just in-front of him and it largely resembles the Diablo III trademark. Edit: Oh and, there's no achievement upon use; but neither was there with Murkablo until a while after his release, so I expect one will be coming shortly. Even though the item is listed as "Binds to Battle.net account" here, you get this on any new character that you make (and old characters). So don't be confused by the tool tip. is there any interaction with the diablo pet? OMG! Got mine in the mail today! Love him! He mumbles a bunch of nonsense and runs ferociously around while fire trails behind him! Looking at the image, I see the batman logo. Peculiar. Does not award a feat of strength much like Collector's Edition: Mini Thor. This little twerp is loud. I can hear him from quite a distance away. The fire sound effect is quite high pitched (think the Deathcharger's summon screech) and he always is babbling or shouting. Quite annoying. Might wanna pull out a quieter one in raids. Can anyone confirm if it has been seen on the Black Market Auction House? I would definitely drop 15-20 for this lil' guy! Am I the only one who loves clicking on it? Uso: Te enseña a invocar un fetiche chamán.